Offers Google Home Amazon Alexa Compatible.The UK6570 is crafted with a slim, elegant metal frame that blends with any décor. 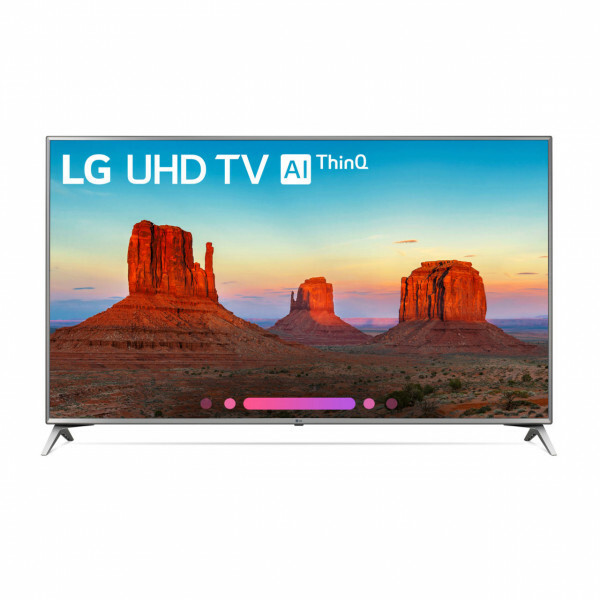 This new LG UHD TV with AI (Artificial Intelligence) ThinQ® becomes the center for the smart home: Using Intelligent Voice control, speak into the LG Magic Remote* to pull up family photos, control light settings, check the weather and more. The UK6570 uses a powerful quad-core processor that minimizes video noise, enhances sharpness and assures accurate colors for a remarkably lifelike 4K picture. This LG 4K TV supports multiple formats of HDR content, including HDR10 and HLG, both optimized with scene-by-scene picture adjustment.